Make exfoliating part of your daily routine to buff dead skin off the surface of your face. 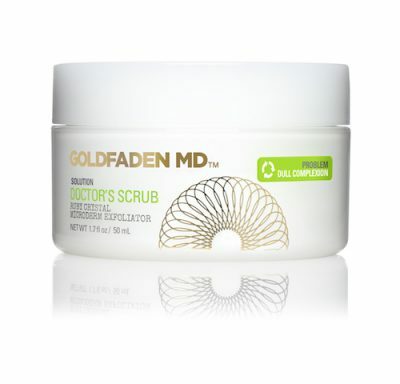 A fantastic exfoliator, Goldfaden MD Doctor’s Scrub contains crystals that subtly refine your pores and reduce fine lines and imperfections. In a consumer study of 82 participants, after 28 days, 95% agreed that their skin felt smoother after use and 89% agreed that it made their skin firmer — while 81% agreed that the product created a more flawless and radiant look. Formulated with line-filling hyaluronic acid and seaweed, you can find it at https://www.goldfadenmd.com/products/doctors-scrub. When your skin looks really stressed and tired, rebuild its moisture barrier with Amala‘s restorative and skin-repairing collagen mask. Rich in firming agents and vitamin A, it brings out balance and radiance, thanks to an array of powerful plants.Try it to smooth away wrinkles, lines, and improve firmness. With anti-inflammatory properties and protection against free radicals, your skin has it all to face the world and look its best. Get more information at https://www.shopamala.com/product/rejuvenating-collagen-mask. Sensitive skin will find immediate comfort with Cleure Day Cream. Super-penetrating and emollient, this is rich in antioxidants, vitamin C and E, shea butter and nutrients. With no salicylate, fragrance, gluten or parabens, it’s also ecologically responsible. 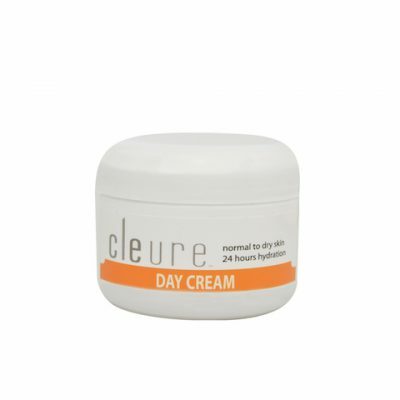 Enjoy this simple but efficacious moisturizer that keeps your skin at peace all day at https://www.cleure.com/moisturizer-for-dry-sensitive-skin. 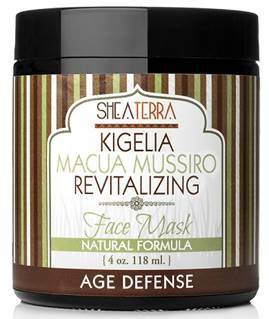 Raw and wild beauty fans will love the Shea Terra Kigelia Macau Mussiro Revitalizing Age Defense Face Mask. Containing only Kigelia Africana and Missuro, used by tribes for generations for their toning, anti-blemish and softening benefits, this will transform your skin to its freshest and most radiant self. Mix hot water into the mask and allow to set for five minutes before applying. Keep it on for at least 15 minutes, then rinse and see how revived your skin looks after being totally empowered by the healing forces of nature. Order it at https://www.sheaterraorganics.com. 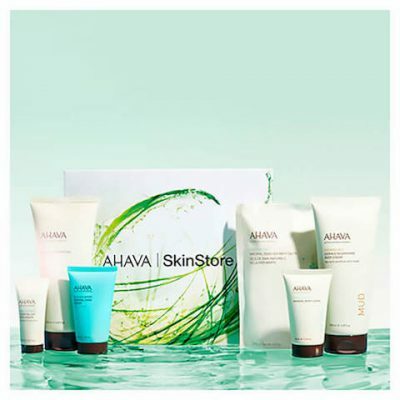 Get an exclusive Skinstore X Ahava Limited Edition Beauty Box that features six products in both full sizes and deluxe samples, to help you discover an amazing skincare line that uses the healing minerals from the Dead Sea to cure the skin from all its imbalances and problems, improving its tone, rejuvenating and protecting it. The Box contains a Mineral Body Lotion, an Essential Day Moisturizer, Mineral Sea Kissed Hand Cream, Natural Dead Sea Bath Salt and a Mineral Shower Gel at half the price; on top of this, receive $20 OFF an Exclusive SkinStore Limited Edition Box using the code BOX20 at checkout or receive $40 OFF 2 Exclusive SkinStore Limited Edition Boxes using the code BOX40 at checkout! Treat yourself or a loved one/friend to something special this fall and holiday season at: https://www.skinstore.com. Earth Day – Ethical Brands: ic!Berlin, Ethique, Clean and more.